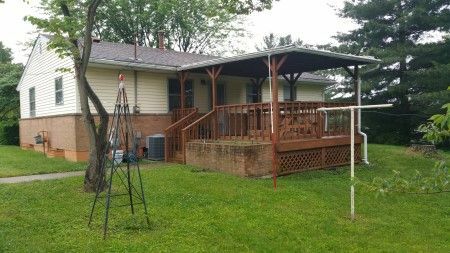 One floor plan home, concrete driveway, rear covered deck patio, detached garage & storage building all on a large lot with several shade trees. Home offers fresh paint, a lot of natural woodwork and wood flooring throughout, updated kitchen and built in appliances +/- 2015, newer HVAC system +/- 2015. Layout consists of Living Room; Bonus Room with closet; Full Bath with shower; Bedroom; Bedroom with attached 1/2 bath; Eat-In Kitchen with updated counter tops, flooring and built in Maytag appliances!Full basement block foundation, 1/2 bath, 3 rooms, utility sink, Carrier HE Performance 93 Gas furnace and central A/C. 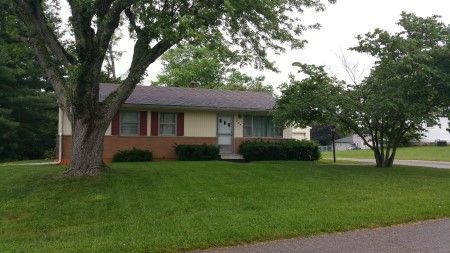 Real Estate Terms: $3,000 down at time of sale cash or check; Balance & Possession at closing on/before July 29, 2017 conducted by Rutherford Law 95 W. Main St., Chillicothe, OH 45601; Offered free & clear prior to closing; Sold As-Is; No buyer's contingencies exist.